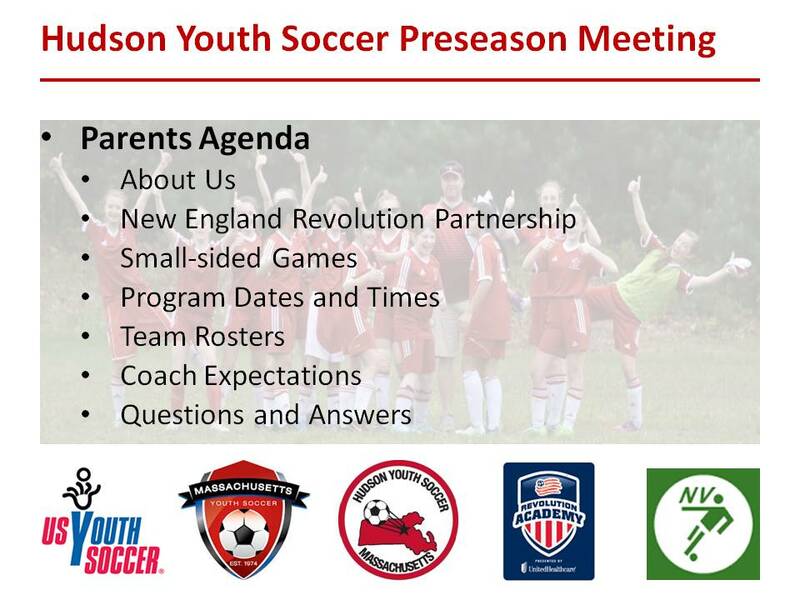 We held our Spring Preseason Meeting last night for parents and coaches, highlighted by a talk from the New England Revolution Academy. If you weren’t able to attend, please click on the presentations to view and download. 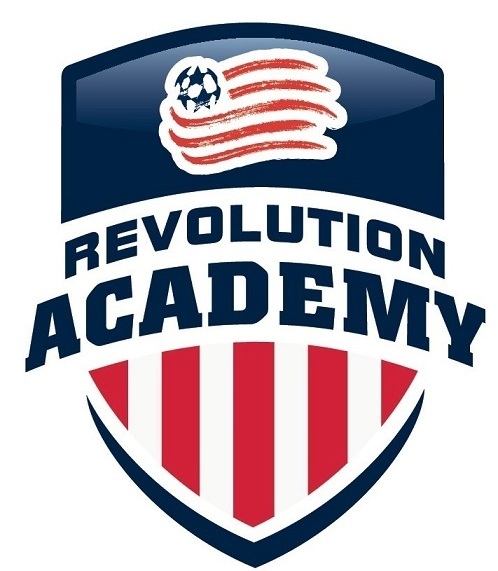 In about the biggest news ever for our organization, we have just signed a long-term partnership agreement with the New England Revolution Academy to create soccer programs in order to better develop our players and coaches! This move is in a direct response to the feedback from our parent survey last November, which indicated that player and coach development are your highest priorities. 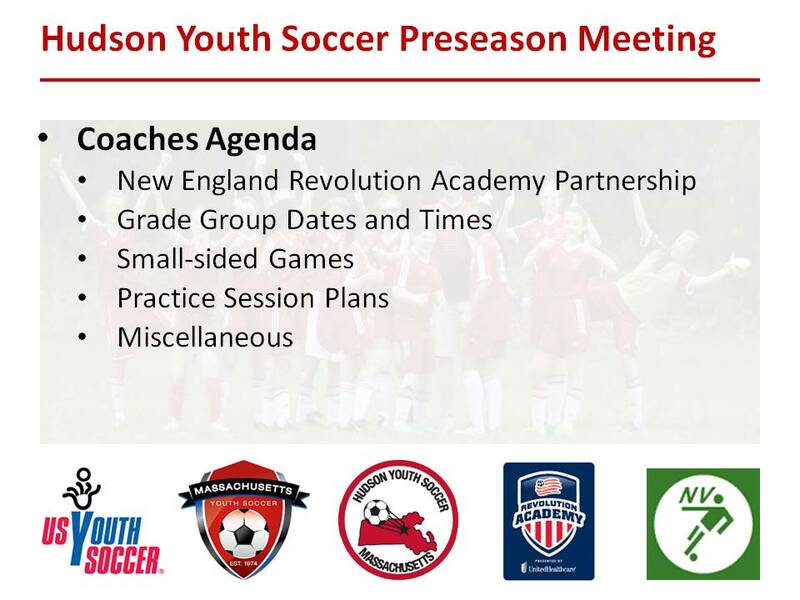 Starting with the Spring 2018 Soccer season, from the Small Fry and Advanced Small Fry program all the way up to Grade 7/8 and High School programs, players will be coached in age-appropriate practices by experienced Revolution Academy coaches alongside volunteer parent coaches. 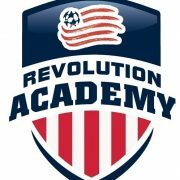 For the Grade 1/2 age groups and above, our soccer programs will consist of grade-based group practice nights with experienced Revolution Academy coaches alongside volunteer parent coaches, team specific practices with volunteer parent coaches, and skills days with experienced Revolution Academy coaches, all with curriculum developed by the Revolution Academy. We hope you share our enthusiasm about this news and we would encourage you to take advantage of early registration for Spring 2018 Soccer. 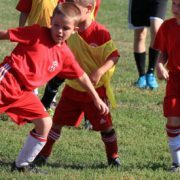 Our registration page includes detailed program descriptions, program dates and times, registration fees, and much more! 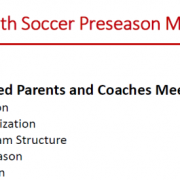 In addition, we will be hosting information sessions for parents and coaches in the near future to go over our new partnership and programs. 01/23/18, Tuesday, HYSA Information Session from 630pm to 730pm at at Hudson High School Room G101. 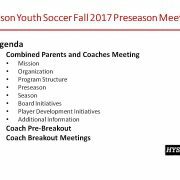 On Monday, we had our preseason meeting for the Fall 2017 for parents, coaches and referees. Please click the image below to download the slides from the meeting. At our HYSA Kickoff Meeting last week, Jessica Gravel, Outpatient Concussion Coordinator, Emerson Hospital spoke about concussions. 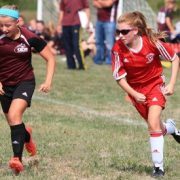 Please note that based on current regulations, HYSA players are not allowed to head the ball until they reach G78 (U14). 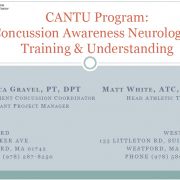 Click the image below to download her presentation and for more information about concussions, please visit their website. 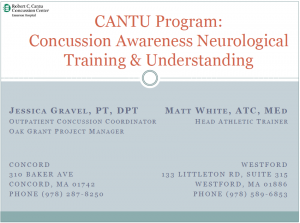 Here is the presentation from the Spring 2017 Kickoff Meeting Presentation for parents and coaches which was held on March 25, 2017. Click the image to download. 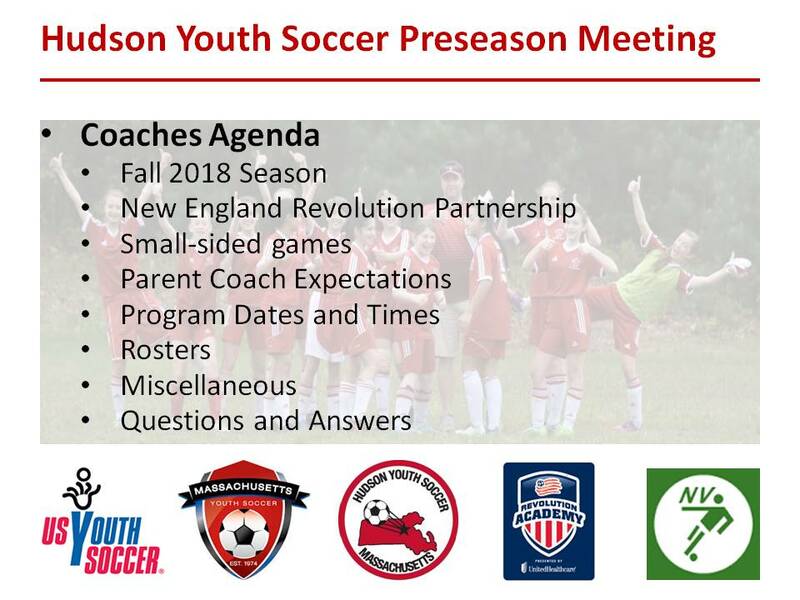 Reminder, spring soccer is just about here, so please save the date for our pre-season kick-off meeting. 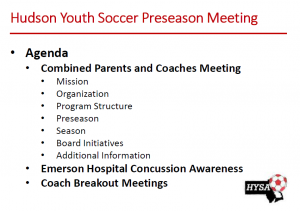 We hope to see everyone there as we have plenty of information to share about the upcoming season, we have a guest from Emerson Hospital to discuss concussion awareness and baseline player screening and we hope to answer any questions you may have about the upcoming season. Registration for the Spring 2017 Registration is now open. 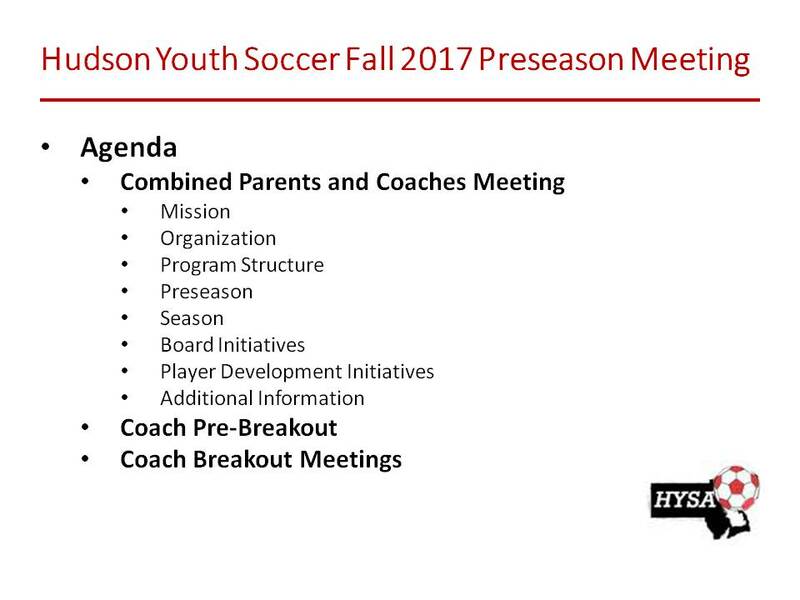 The HYSA Fall Season Parents and Coaches meeting will be held on Monday, August 29th, 2016 at Hudson High School. 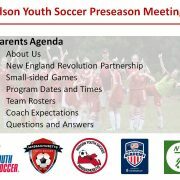 Please join us for information on the upcoming season. This meeting will be open to parents in the Small Fry/Advanced Small Fry, U8 and above programs. 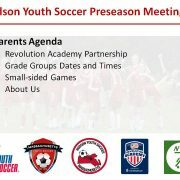 We will discuss the program and relevant times for games and practices. 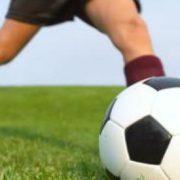 We are hoping to have more information on the opening of the fields and the status for the first week of games. We look forward to meeting with you and addressing any questions you may have. 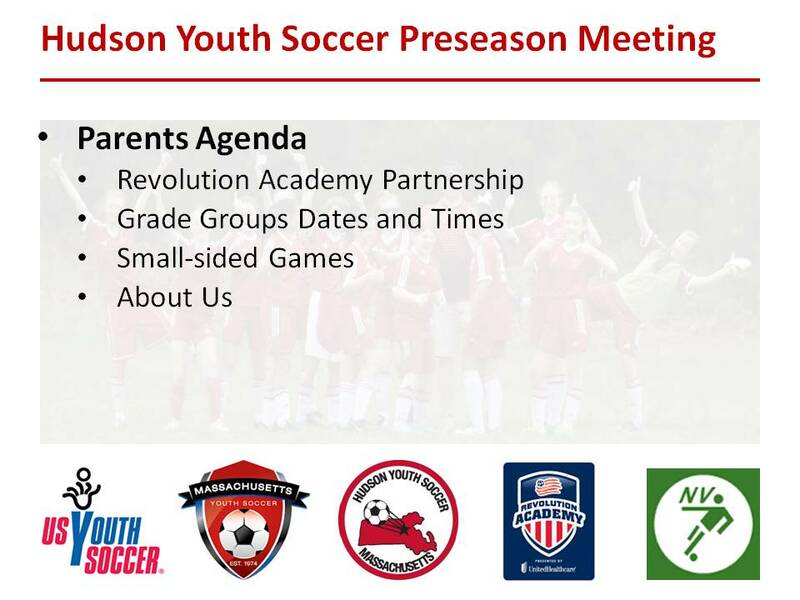 The HYSA Spring Season Parents and Coaches meeting will be held on Monday April 4th, 2015 at Hudson High School (room G101). 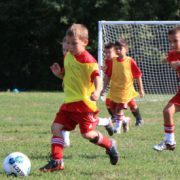 For the Small Fry/Advanced Small Fry/U8 and older age groups. Please join us for information on the upcoming season. This meeting will be open to parents in the Small Fry/Advanced Small Fry, U8 and above programs.